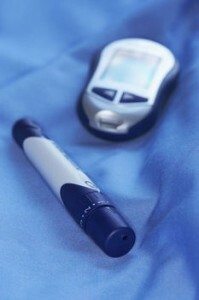 When trying to decide what the best blood glucose meter is, you have to ask yourself several questions. Although there are several brands which all have different functionality, I think the best place to start is with your doctor. Most of the doctors that I work with all have sample meters that are really good. And you can probably get a free one from them that is of the best quality. But if this isn’t an option for you, here are some things to consider when doing your research. Depending on cost and many other factors, you’ll want to look into the factors I’m about to discuss so that you can get one that’s a good fit for you. Size. For many, a small discreet meter is a wise choice. And if you go with a good brand, you’ll find that a small meter with a very accurate reading. Time it takes to display your reading. I don’t know about you, but I don’t want to wait forever to get my reading. So therefore I recommend you get a meter that displays the your reading in a short amount of time. Usually a couple of seconds is good. Blood sample size. Who wants to give a pint of blood just to get the meter to give you a result. Some of the more modern meters allow you to give a tiny speck of blood and can get you a reading. This works well for many reasons. Alternate testing. Many meters allow you to test on alternate areas besides your finger tip. So you might prefer your forearm for example. And often times these sites aren’t as painful and don’t callus like your fingertips can from repeated pricks. Just know that in some cases these alternate sites may not be as accurate and the tip of the finger is considered to be the most accurate testing site. Cost. Look into how much the test strips will cost for your meter. Because many times you can get a free meter from your doctor but the strips can cost a pretty penny and it can all really start to add up. Value-added technology. Some meters speak your readings. This can be great for someone who is vision impaired. Also, glow in the dark backlighting for dim lit areas and ketone blood test features are some of the additional technology that may be beneficial for you. Memory. Some meters hold less data than others. This may be important to you. Data. Some meters allow you to download the readings from your meter. This is great for tracking history, and looking at trends.